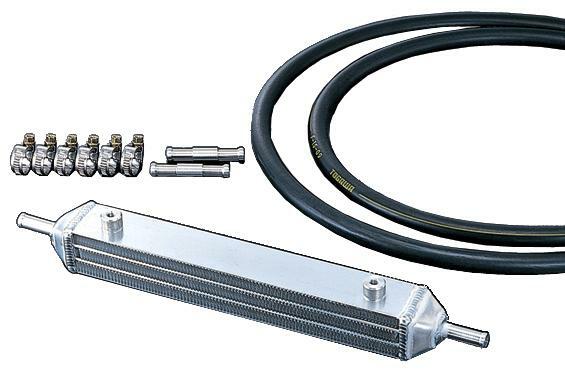 ARC Super Oil Cooler Kit - Dezod Motorsports Inc - Home of the automotive performance enthusiast since 2002. The ARC Oil Cooler Kit raises the bar on technological and logical products. The ARC Super Front Grill Oil Cooler Kit situates the oil cooler behind the front grill of your vehicle to gain the most air flow possible. Included in the kit are the Oil Cooler and all necessary fitting and plumbing.